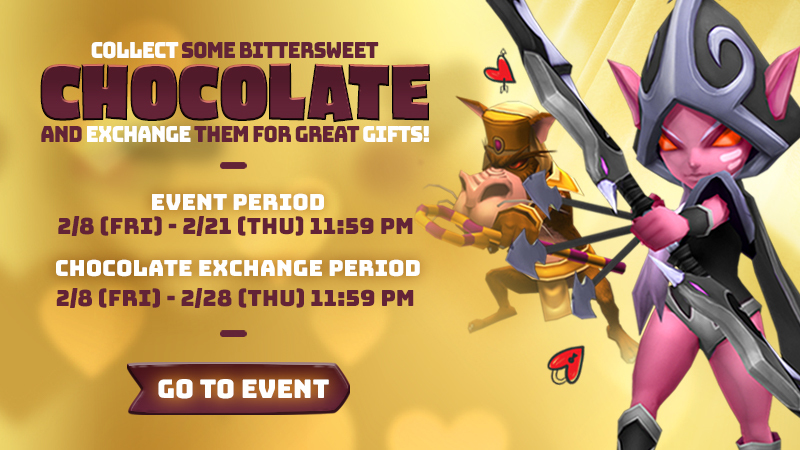 [Event] Chocolate Collector + Gifts! Thread: [Event] Chocolate Collector + Gifts! Valentines Day is nearly upon us! What does this mean??? more chocolates! Explore, collect chocolates, exchange for goodies! Chocolates will appear as Exploration Cards when exploring. Check out the awesome rewards purchasable via the Event Shop in-game! How to: Log in to game > Event > Chocolate collector event! Get your hands on Gold, Either, Evolution Elements, and more!